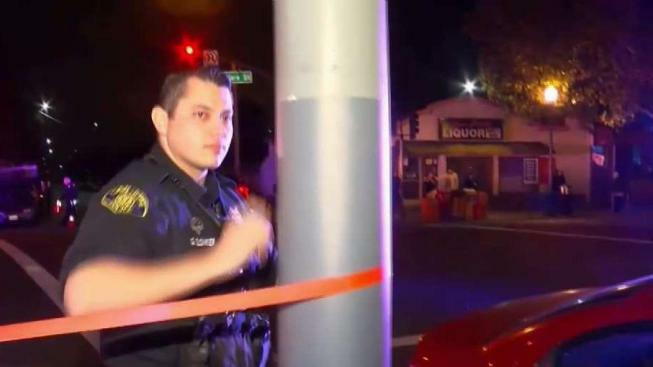 San Jose police are investigating a man’s shooting death Saturday as a homicide. The crime occurred outside a restaurant on the 1200 block of East Santa Clara Street around 3:36 a.m., police said. Responding police officers and fire crews found a man suffering from a gunshot wound. The victim, who was found near a tanning salon called Blockers, was treated at the scene and rushed to a nearby trauma center, according to police. He is believed to be in his 40s. Sources told NBC Bay Area around 3:30 p.m. that the man died. Police have not provided information on circumstances leading up to the shooting, a motive or any suspects. The investigation forced police to temporarily shut down East Santa Clara Street between North 25th and North 27th streets.